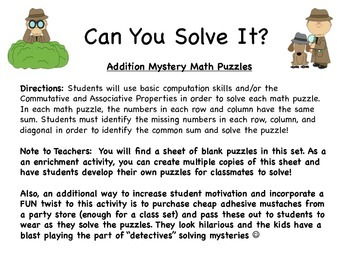 Directions: Students will use basic computation skills and/or the Commutative and Associative Properties in order to solve each math puzzle. 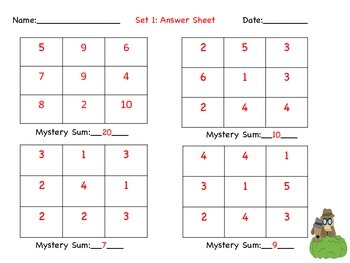 In each math puzzle, the numbers in each row and column have the same sum. Students must identify the missing numbers in each row, column, and diagonal in order to identify the common sum and solve the puzzle! 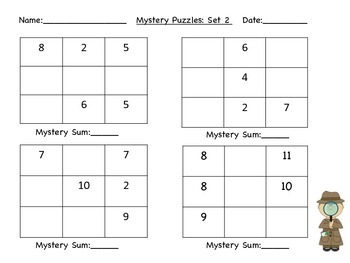 Note to Teachers: You will find a sheet of blank puzzles in this set. As a an enrichment activity, you can create multiple copies of this sheet and have students develop their own puzzles for classmates to solve!